The large, modern rooms and suites are filled with light and have lovely views of the ocean or the mountains from their private balconies. The decoration is contemporary with an elegant but restrained touch, blue and creme tones predominating. 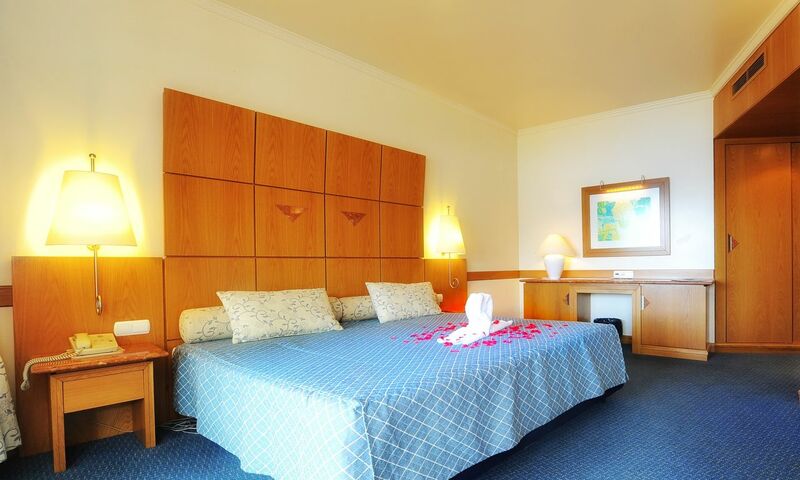 Your comfort is the principal consideration, with relaxing furniture, attentive staff and modern amenities. 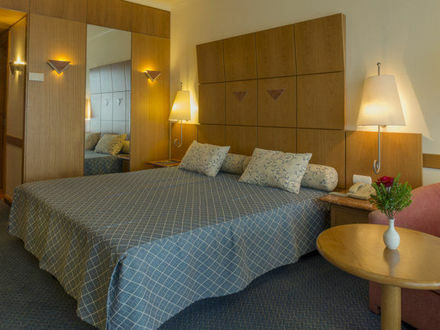 The large suites are ideal for families, containing a bedroom with twin beds and a living room with a sofa bed and upholstered chairs. Relax in the hydro massage tub in the magnificent bathroom, which features a separate shower. The surfaces in the bedrooms and luxurious bathrooms are in luxurious rose marble and there is a separate bathtub and shower. All the rooms and suites enjoy satellite television with a DVD channel, air conditioning, direct connection telephone, fridge and a safe deposit box (at extra cost). 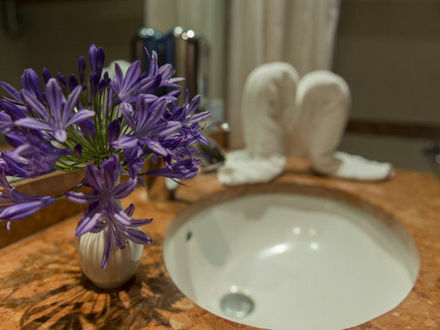 The fully equipped bathrooms have a hairdryer and extra towels, bathrobes and slippers are available on request.